Dracula Year Zero has been in the works at Universal for a while. Originally, Alex Proyas was going to direct Sam Worthington in the film, but that obviously didn’t work out. Now, Gary Shore is the man behind the camera and in front, according to THR, will be Luke Evans. In recent years, Evans has done some decent work with films like The Raven and The Three Musketeers. He’s also starred in some crap though like Clash of the Titans and Immortals, so it will be interesting to see how he does here. That being said, he just completed Fast & Furious 6 for Universal and seeing as they cast him in Dracula Year Zero, they obviously liked what they saw from him in Justin Lin’s upcoming film. Additionally, Evans will also be seen in the second and third Hobbit films, which are currently filming. Personally, I’m a fan of the actor and though this film doesn’t sound like anything too original or unique, I’m always up for a good monster flick, especially if it’s set to be an origin story like this one. If the studio could bring on some strong supporting actors, I think this film could turn out to be a nice little treat for fans of the iconic monster. What do you think? 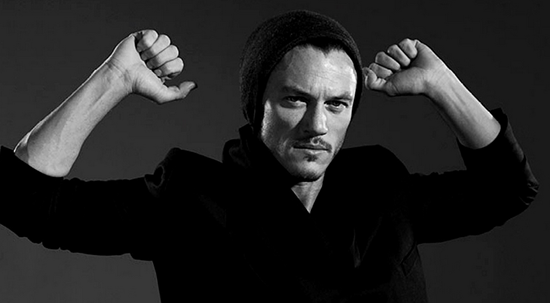 Are you a fan of Luke Evans? Does Dracula Year Zero sound like something you’d pay to see in theatres? Let us know in the comments section below.